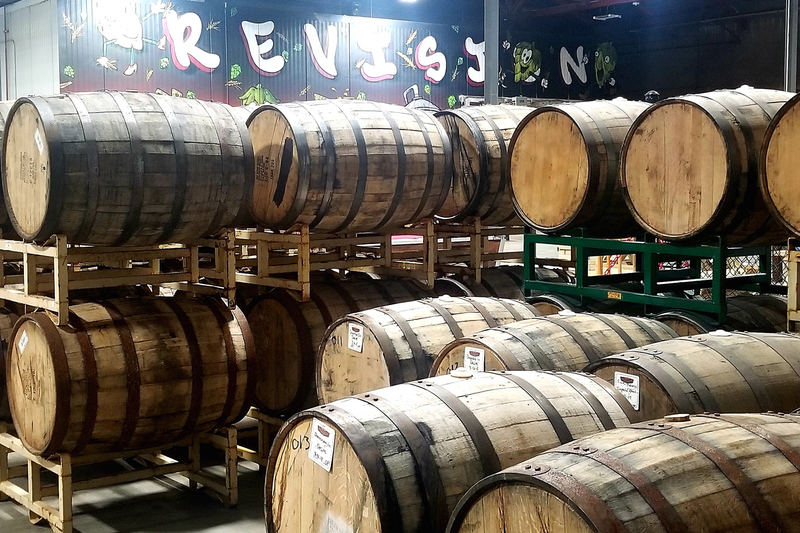 Revision Brewing Company just celebrated its one-year anniversary by being named one of the 50 of the Best New Breweries by Beer Advocate. It also collected a gold and silver medal at the World Beer Cup and a month later earned a silver medal at the US Beer Open Championship (after taking home a gold in last year’s competition). 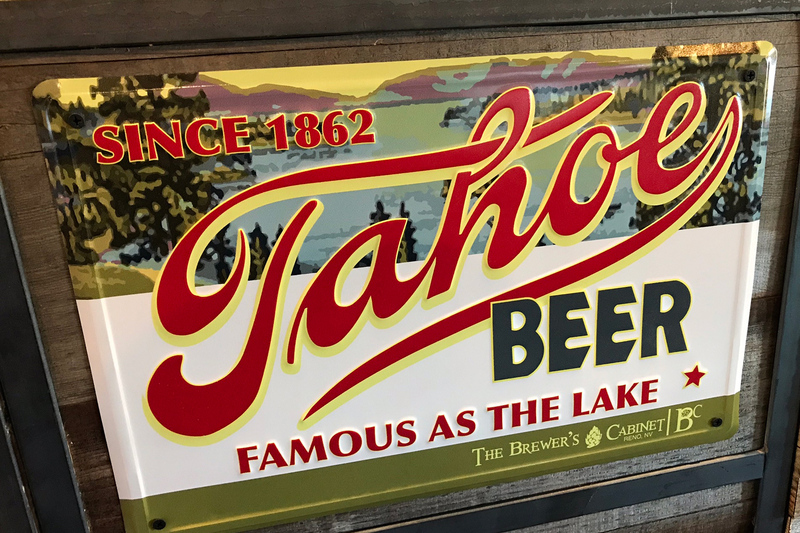 With all this success and expanding markets across 10 states plus Australia, comes the ever-pressing need for expansion, and in recent months the Reno-based brewery known for its range of IPA styles did just that. Added to its brewing arsenal are a canning line, three new 80-bbl fermenters, one 80-bbl bright tank, a 20-bbl fermenter and a new chiller, all of which will allow for 52% growth increasing capacity from 8,920-bbls per year to 13,650! In addition, more whiskey and bourbon barrels have been brought in for its bourgeoning barrel-aging program. The first renditions currently maturing in Evan Williams Bourbon barrels are its Darkling Imperial Stout and Finite Madness Double Mashed Imperial Stout, which will be released in late 2018. The Brewer’s Cabinet has new digs. 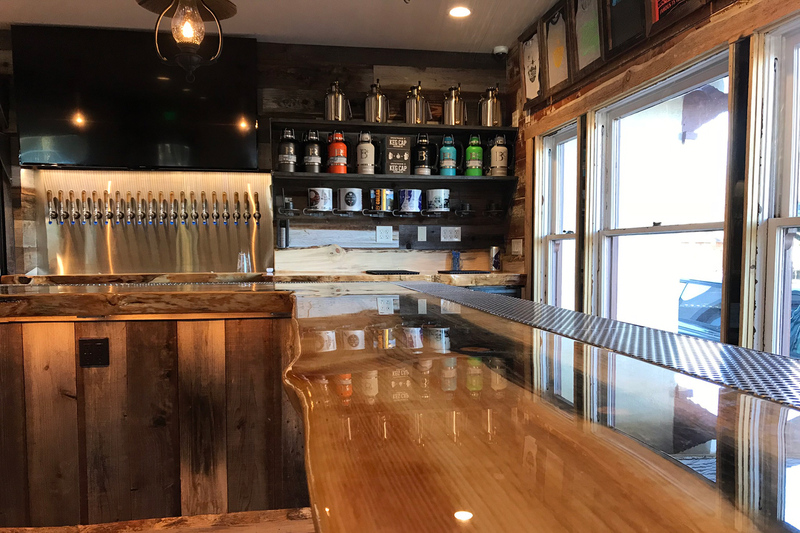 In addition to its brewpub and production brewery it has added an additional taproom, located right next to its brewpub location on Arlington in the Reno Riverwalk District and Cal Avenue neighborhood. The new addition provides more space to handle overflow from the brewpub during peak times, especially in the winter when the temps are too cold to have the patios open. There are 20 taps pouring the brewery’s full lineup, as well as special releases and one-off brews and there is a gift shop selling t-shirts, pint glasses, 6-packs and growler/crowler fills. The décor lends a rustic feel with lots of wood—long tables, bartop and walls—and a stone fireplace. 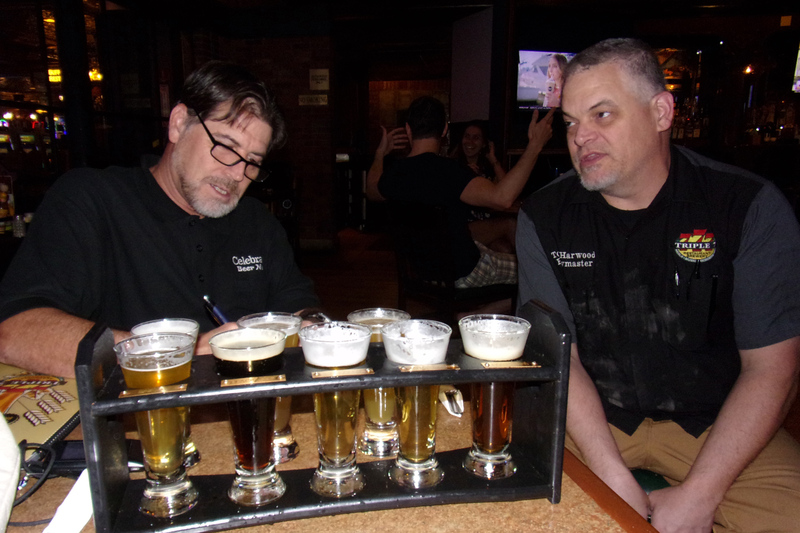 In June, CraftHaus Brewery had to say farewell to its co-head brewers Steph Cope and Steve Brockman, who departed to return to their homeland, Australia. 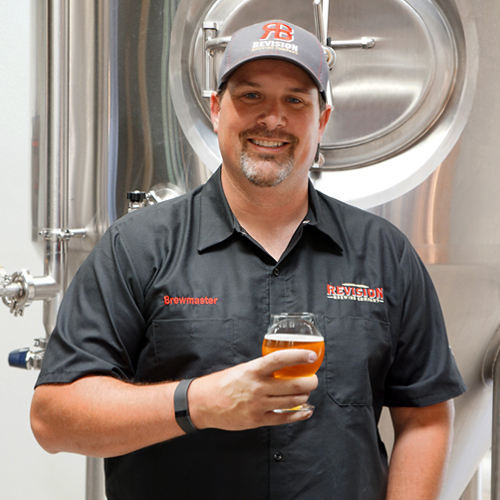 As the Aussie team have helmed the brewery since it opened in 2014 and had a lot to do with the success and growth of the Henderson-based brewery, their brewer boots will be hard to fill. Stepping in are Cameron Fisher taking over as Head Brewer and Bryson Bauducco, who will serve as Assistant Brewer. Both have experience brewing professionally. Cameron, a UNLV graduate, previously worked at Odyssey Beerwerks in Colorado and 13 Virtues in Oregon; and Bryson brewed at Mike Hess Brewing in San Diego and operated a mobile canning line all over Southern California. Both brewers bring expertise in a variety of beer styles, with Cameron enjoying brewing beers out of the traditional beer style guidelines, as well as classic styles such as IPAs and Belgian ales; and Bryson appreciates the depth and complexity of barrel aged beers and sours. They will be tasked with taking the brewery to the next level, ramping up production and putting to good use its new ex-Wild Goose canning line, 40-barrel fermenter and large distribution cold room, which were part of the brewery’s latest expansion. 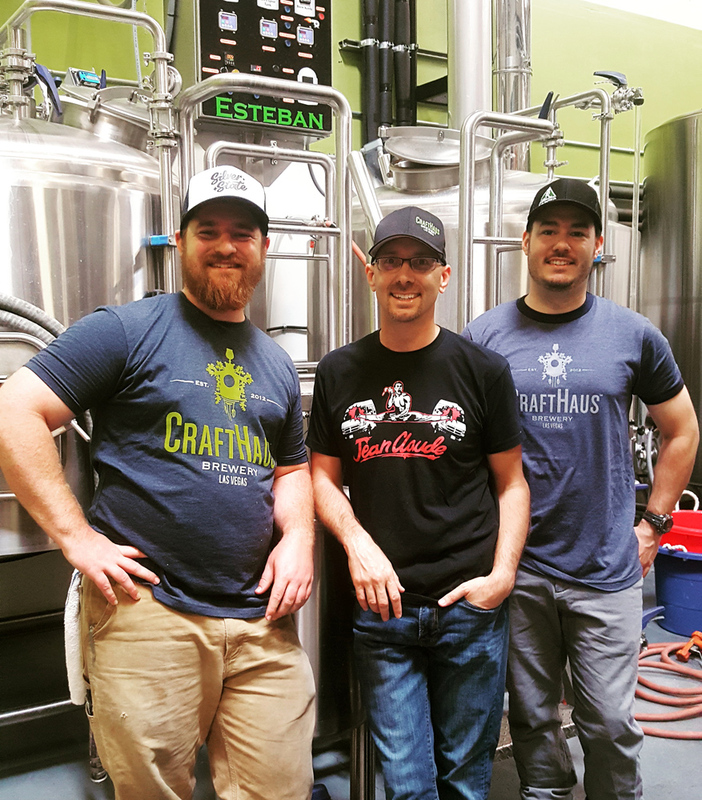 CraftHaus opened nearly four years ago and has seen thirty percent growth each year and anticipates surpassing this with the recent expansion and the new brewers ready to take the helm. Side note: An interesting event involving the brewery occurred recently. CraftHaus received a cease and desist letter from action film star Jean Claude Van Damme’s attorney complaining about the name of its annual Belgian Golden Strong Ale release named Jean Claude Damn Van, which was originally named in 2014 in honor of the van notorious for breaking down that former brewers Steph Cope and Steve Brockman spent a year traveling all over the US in before coming to work at CraftHaus. “I’m actually flattered that our beer has the attention of Jean Claude Van Damme’s attorney and wish JCVD himself could enjoy a glass of this beautiful beer,” says CraftHaus co-owner Wyndee Forrest. CraftHaus has complied to all demands put forth by Jean Claude Van Damme’s attorney, including removing the logo from social media and the beer has been renamed Not That Jean Claude as a reminder of the van that brought the brewers to the brewery. Triple 7 Restaurant & Microbrewery at Main Street Station in Downtown Las Vegas is switching out its brewing equipment. Its existing system was new when the brewery opened in 1996, but the years have resulted in wear and tear so it will be replaced with a new Premier Stainless 15-barrel brewhouse (same size as the original system). Brewmaster Tom Harwood says the new equipment will provide more consistency, but as the new construction will take place in October, brewing will have to take a breather for about a month. 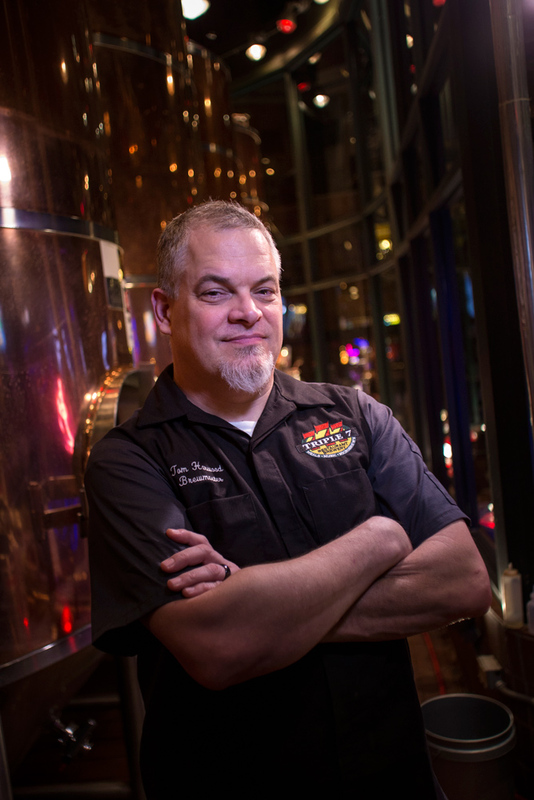 As a result, he’ll be brewing up a storm in the next few months to supply the brewpub and other Boyd Gaming Vegas casino locations including Bailiwick at Orleans, Filament Bar at Fremont, 90-NINETY at Suncoast and Holo Holo at the Cal. As always, great beer happens in Nevada!